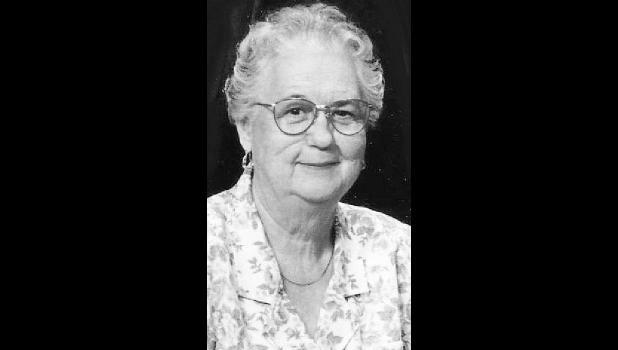 Winnifred “Winnie” Hayden, 94, formerly of Payson, Ill., passed away at 12 midnight Monday, Nov. 26, 2018, in Good Samaritan Home. Born Sept. 11, 1924, in Corning, Winnie was the daughter of John and Harriett Barkdoll Dial. She married James E. “Jack” Hayden on June 4, 1944 in Circleville. He preceded her in death on Jan. 13, 2000. Survivors include her daughter, Lizabeth “Beth” Vortman (Allan) of Kewanee, Ill.; her granddaughter, Jennifer Plummer (Chris) of Aldie, Va.; two great-grandchildren, Bailey and Ethan Plummer; and many loving nieces and nephews. Winnie was preceded in death by her parents; her husband, Jack; two daughters, Becky Jo Hayden and Sherry Hayden; a granddaughter, Erica Vortman; six sisters; and one brother. Graveside services will be held at 1 p.m. Monday, Dec. 3 in Holton Cemetery, Holton, with the Rev. Kathy Williams officiating. Funeral arrangements are in care of Zehender Robinson Stormer Cookson Funeral Home, 1435 State St., Quincy, IL 62301. Memorials may be made to the Payson United Methodist Church, sent in care of the funeral home.